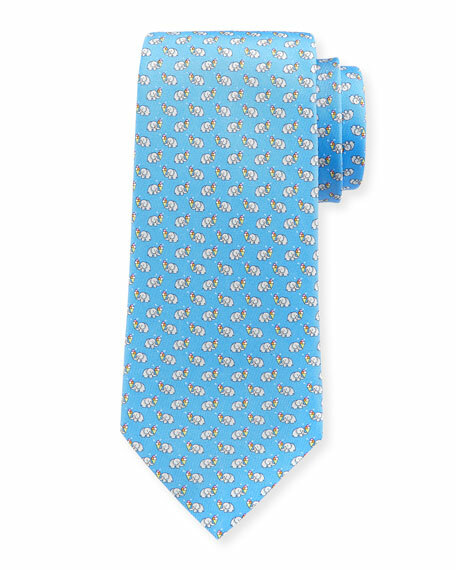 Salvatore Ferragamo tie featuring elephants and ice cream cone motif. For in-store inquiries, use sku #2338731. 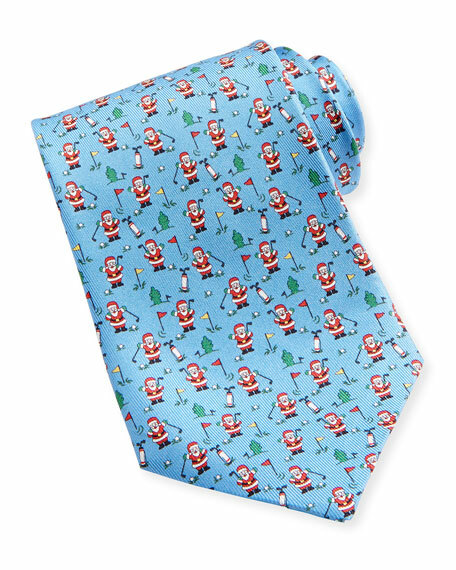 Salvatore Ferragamo silk tie. Christmas tree and Gancini print. Approx. 3"W. Made in Italy. 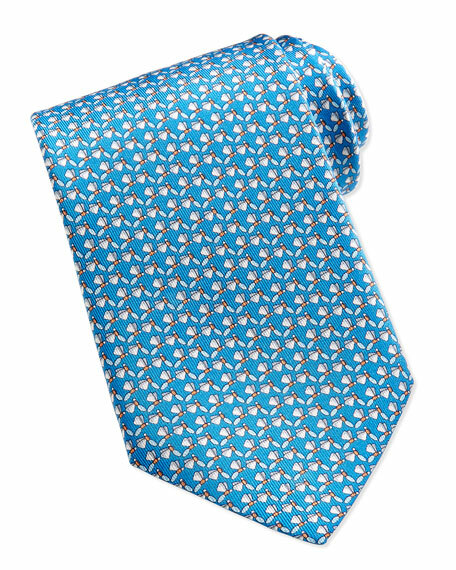 Salvatore Ferragamo dragonfly pattern tie. 3 1/5" at widest. Silk. Made in Italy. 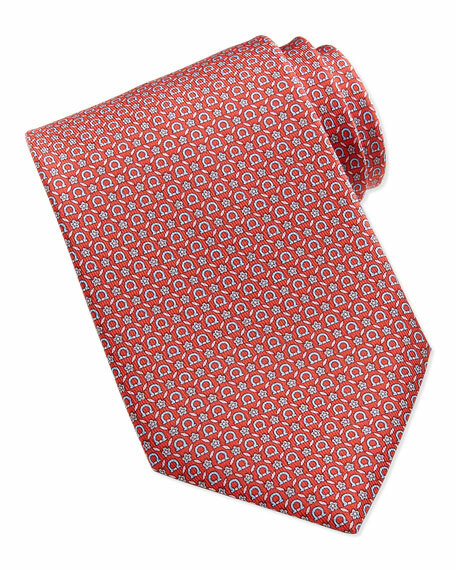 Tie in signature Salvatore Ferragamo Gancini and floral pattern. 3 1/5" at widest. Silk. Made in Italy. 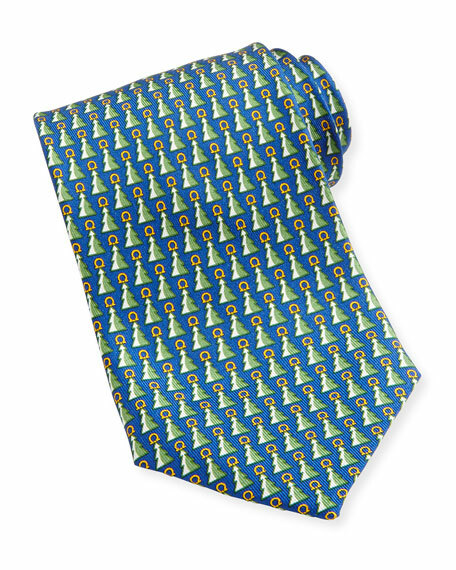 Salvatore Ferragamo printed silk tie. Approx. 3"W. Made in Italy.